Low solar activity is expected to cause the winter jet stream to bring bitterly cold Arctic air. 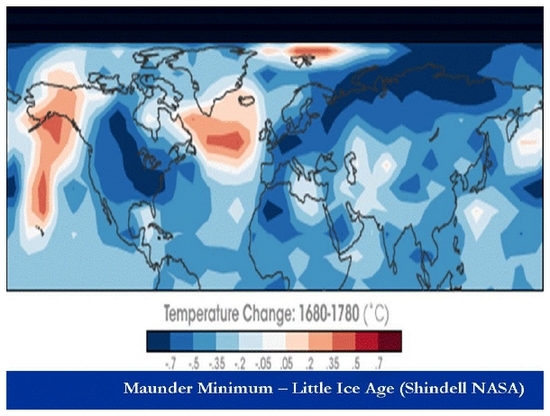 GLOBAL CLIMATE is warming, with 2010 expected to go down as yet another record year. You can count on our winters being colder than usual, however, at least for the next few years. “There is a difference between global climate and regional climate, and there is a very peculiar thing we are finding about the European climate,” says Prof Mike Lockwood of the University of Southampton and the Rutherford Appleton Laboratory. Colder winters are expected because at the moment solar activity is very low. Last winter was particularly cold here and on the Continent, and low-temperature records were set. Lockwood, who is Southampton’s professor of space and climate physics in the school of mathematical and physical sciences, believes we will see more of the same this winter. Climate change naysayers argue that temperature changes come down to a weakening or strengthening sun, but in fact Eurasia’s colder winters will be triggered by the jet stream, Lockwood explains. It is a phenomenon known as “set stream blocking”.